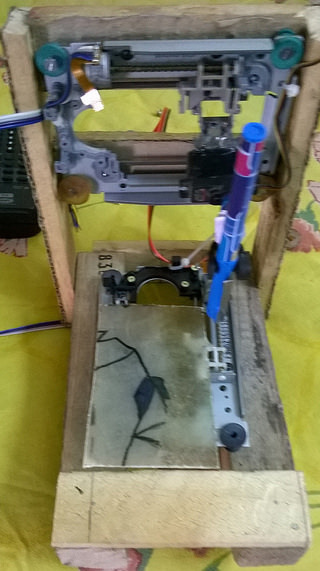 [Rohit Gupta] is back with a plotter made from scrap CD drives and an old RC servo. [Rohit] is working on hacks to create CNC machines and sharing his activities with the world. 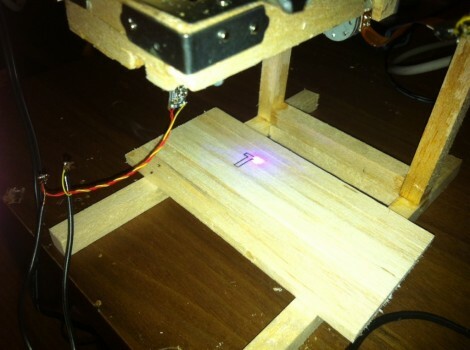 His CNC design calls for salvaged stepper motors so he first built a device for testing them. You’ve got to admire his use of the language. He named his plotter project ‘Sketchy’ and his motor tester is called ‘Easy Peasy’. After finding some CD drives at the scrap pile he tore them down to test with Easy Peasy. The raw materials for the frame came from a wooden crate for an AC unit but he didn’t just start cutting it up. Nope, first he created plans with CAD; now that’s a hack you have to admire. With the steppers tested working, and the base build under way he moved onto the control system. Originally the hardware was demonstrated using an MSP430. This worked, but a flaw in the hardware design was found. With the pen attached directly to the servo horn, it would draw a long line when being rotated away from the drawing position. 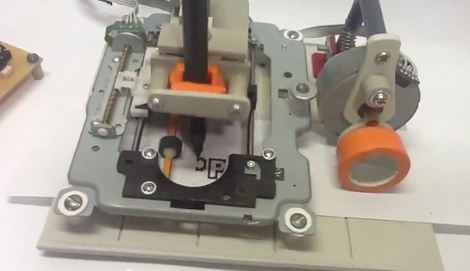 The fix is a replacement servo setup which lifts the pen up instead of rotating it. But that showed that the drawing surface wasn’t smooth. The pen kept missing places or getting caught and destroyed. The use of a spring loaded pen solved this issue. Success! One further change migrated away from the MSP430 in favor of an Arduino Pro Mini in order to use a GRBL library instead of the g-code generator which was performing questionably. Since he likes Hackaday so much one of his first attempts with the final version of Sketchy was our logo, shown in the video after the break. When we last saw [Rohit] he had created a fancy PCB ruler to measure components. [Nav] got the bug for a tiny little laser cutter. He pulled off the build, and has just finished the second rendition which makes some nice improvements. He’s was hoping for a laser cutter, but we think this really shines when it comes to branding objects like the scrap wood seen above. 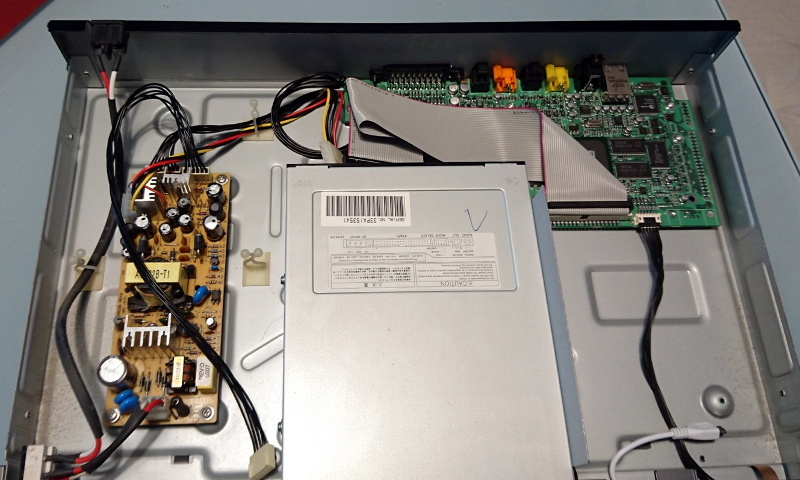 This joins a long line of optical drive parts builds. For instance, we saw this plotter that used the lens sleds from some CD-ROM drives. You may think that [Nav] doesn’t need to worry about the Z axis since this is a laser but you’d be wrong. The focal point of the light needs to hit at the right place to cut efficiently, and this is often the trouble with laser cutters. As material is burned away the laser becomes less efficient if you don’t adjust the lens for vertical position. That’s why we think it’s best as an engraver, but the original build writeup for his cutter does show some success cutting letters in dark paper. Check out a clip of this design being burnt into the wood after the break.